An adorable read – Joyce's mystery and fiction book reviews with some non-fiction too! 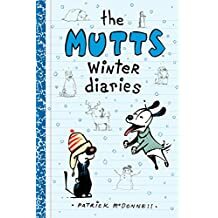 We are getting closer to spring but, while you are waiting, enjoy this Mutts book. Cartoonist Patric McDonnell’s critters have a sweet take on life and can also be very amusing. Technically this is a children’s book but why should children have ALL the fun?